If you're all about BIG, then this is your body board! 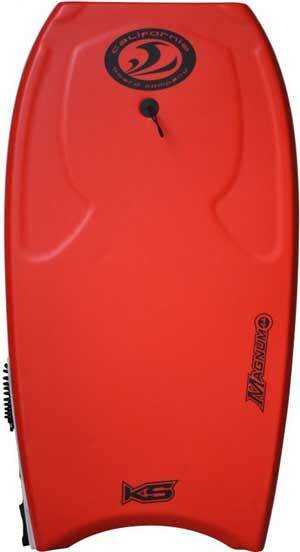 Magnum 44 body board gives you the confidence to plow through the water like no one's business! A wide template and plenty of length to take charge of the line-up. Contoured deck with wells and bulbs for positioning and maneuverability. Channeled bottom for tracking and a Dual Swivel coil leash. Step aside, you've arrived! 44" x 23" x 2.25"